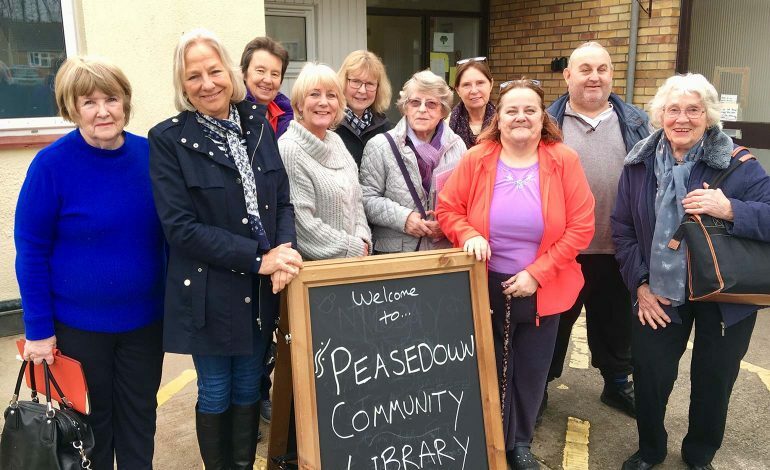 Villagers in Peasedown St John are counting down to the opening of their new community library, following a year of campaigning by councillors for the facility to be created. Over a year ago, local councillors Karen Walker and Sarah Bevan (Independents) launched a campaign to open the service, in the wake of cuts to the mobile library service. Following on from a meeting with Council Directors, Cabinet Members, the local councillors and Peasedown St John Residents’ Association in February 2018, a steering group was put together to manage the village’s application. Cllr Karen Walker said: “We’d like to say a huge thank you to everyone who has responded to surveys, given up their time, delivered leaflets, come along to meetings and baked cakes! A logo created for the library, following public consultation. Cllr Sarah Bevan added: “We’re now waiting for B&NES Council to make the final decision on our library application. We’ve been working on creating policies and firming up the application for over a year, so we’re confident they’ll look on it favourably. Anyone who would like to get involved with Peasedown St John Community Library can email peasedownlibrary@hotmail.com.